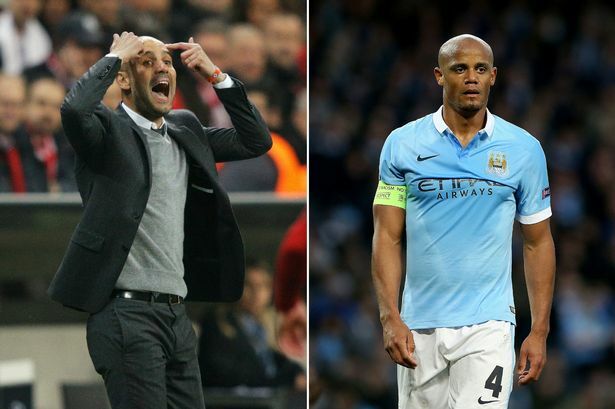 Manchester City stalwart Vincent Kompany has found his position under threat ever since the club signed Pep Guardiola from Bayern Munichin the summer. However, in a recent interview, the new Manchester City boss insisted that Kompany still has a role to play in the team and would return to when he is fully fit. In recent weeks, a series of poor defending has seen the club conceded a number of goals with the latest coming from a 4-2 thrashing at Leicester. Many pundits are beginning to question why Guardiola has left Kompany on the bench even when it is obvious his current back three are not doing so well defensively. It would be recalled that company last featured for the team in the match against Crystal Palace, but was unfortunately substituted due to the injury he sustained in the game. Since then, Kompany has not played any game due to struggles with fitness. At the end of the interview, one thing was clear, while the manager insisted Kompany is very much in his plans, he is not in a hurry to rush the defender back from injury.